N. K. Jemisin is the first author in the genre's history to win three consecutive Best Novel Hugo Awards, all for her Broken Earth trilogy. Her work has also won the Nebula, Locus, and Goodreads Choice Awards. She is currently a reviewer for the New York Times Book Review, and she has been an instructor for the Clarion and Clarion West writing workshops. In her spare time she is a gamer and gardener, and she is also single-handedly responsible for saving the world from King Ozzymandias, her dangerously intelligent ginger cat, and his phenomenally destructive sidekick Magpie. "N. K. Jemisin is a powerhouse of speculative fiction. So, obviously, you need to read this new short story collection." "Each of the [stories] is masterfully written and beautifully imagined, making the book difficult to put down...Anyone who appreciates Jemisin's work, speculative fiction, or simply the art of the short story shouldn't miss this collection." "Established fans of Jemisin's work and general fantasy and sf readers alike should check out this collection of diverse and exciting new speculative fiction." 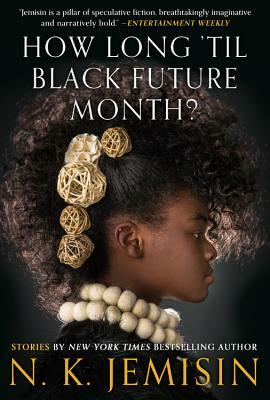 "The true breadth of [Jemisin's] talent ... comes through to grand effect in her first collection of short fiction... Jemisin is an essential voice in modern-day SFF."